In today’s episode Ron talks about a man that had his wife stolen by a police officer. Is English The Language Of Love? Episode 21 – Driving pissed off, a bank loan, and scolding your child. Learn English Funcast Episode 136 – A man stung by a bee, the hardest mint in town, and words of wisdom. 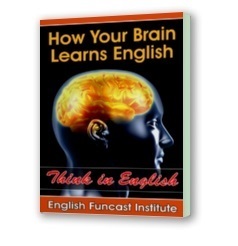 Learn English Funcast #143 – Expert advice, solitary confinement, and DEATH or BOOKA!